We specialize in creating unique computer desk systems for both the home and office. 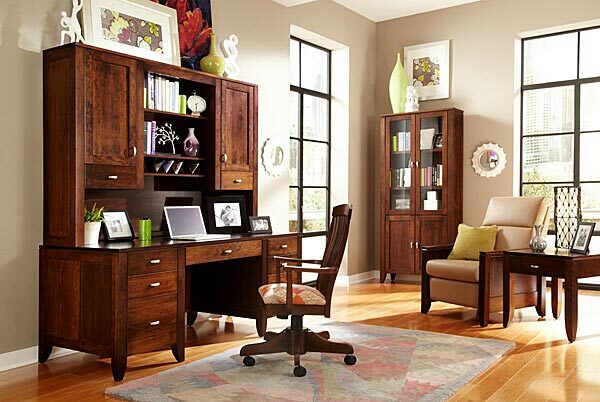 Create your own special environment with the perfect home office system from Fedde Furniture. Custom design each system to fit your specific needs for any room in the house. Featuring complete wall systems with work surface returns, computer armoires, flat top computer desks, file cabinets, and a beautiful selection of top-grain leather desk chairs for extra comfort. Select from mahogany, oak, cherry and pine, each collection with its own unique finish.